Back to Reykjavík, I got my hands on a great book. De retour à Reykjavík, j´ai mis la main sur un beau livre. I had been waiting for that one for quite a while and it was actually my bithday present. 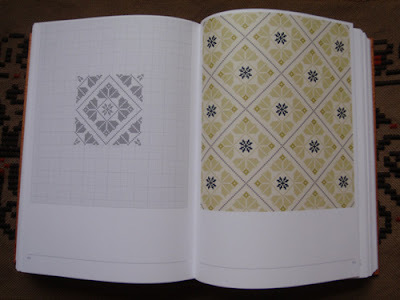 It ´s a book (both in Icelandic and English) about traditional patterns for textiles found in old Icelandic manuscripts (sjónabók). 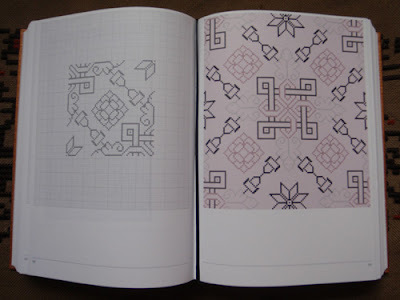 A collaboration between the Icelandic Handcraft Association, the National Museum of Iceland and the graphic design department of the Icelandic Academy of the Arts, it is a graphic compilation of all the patterns found in the 10 existing manuscripts, together with a CD with the totality of the patterns for designers to use. It ´s a complete delight! Cela faisait un moment que je l´espérais et c´est en fait mon cadeau d´anniversaire. 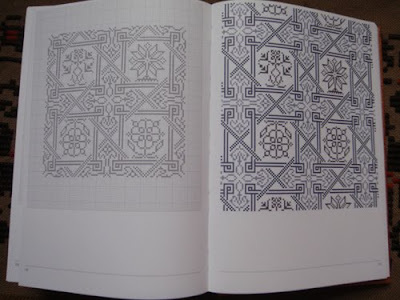 C´est un livre (en islandais et anglais) sur les motifs traditionnels islandais dessinés dans les vieux manuscripts islandais (sjónabók). 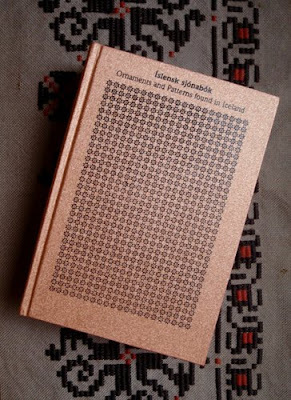 Une collaboration entre l´IAssociation pour l´Artisanat Islandais , le Musée National d´Islande et le département graphique de l´Académie des Arts d´Islande, cet ouvrage est une compilation graphique de tous les motifs trouvés dans les 10 manuscipts existant. Il est accompagné d´un CD contenant tous les motifs qui peuvent être utilisés librement. C´est une splendeur ! I also bought some Icelandic yarn, Lopi and Létt-lopi to knit this winter. Some 7 kilos of carded wool to make the flowers of my Felted light. 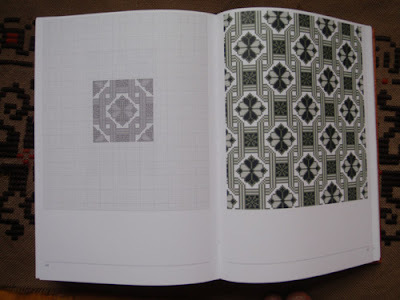 how can I get a copy of this book in the USA ? you can reach me at the following email.